There is no extra charge for snacks and drinks from the Canteen. Campers are allowed to purchase other items at an additional fee such as EKC clothing items, stamps, stationery, etc. Please fill out this Canteen Form, use the form included in the packet or contact the office to make a deposit into your child’s canteen account. EKC reserves the right to control access to the Canteen for campers and staff at all times. 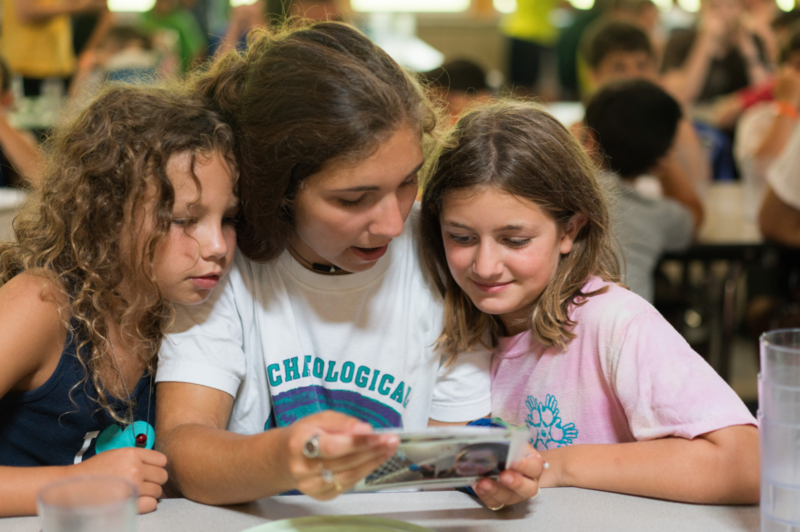 “Nosh”, is “snack time,” where all campers come to the Chadar O’Chell (Dining Hall) to have a snack with their cabin group. It lasts 15 minutes and it is a great opportunity to relax, see friends and family in other cabins/groups and of course get a good snack (which includes one item daily of potato chips, pretzels, candy, 100 calorie packs, brownies, and more and either water or soda. The campers choose their item daily). -Please limit care packages to 8 ½” x 11″ manila envelopes. -Please label packages with the same information as on letters and faxes. Items that are appropriate include, but are not limited to: pens and paper, markers and crayons, coloring books, reading materials, puzzle books, stuffed animals, autograph albums, small games and toys. Administrative Staff open all packages and large envelopes. If a package has food items inside, we donate the contents to a local food pantry. Inappropriate, non-food items will be confiscated. The Camp Director reserves the right to make final determinations on the appropriateness of all items sent to campers. Please relay this information to anyone sending care packages to camp. The EKC Gear Store offers a variety of EKC items for youth, adults, and babies. EKC shirts, sweatshirts, hats and more make great souvenirs or gifts for campers, alumni, and future campers! Click here to order online! or this Canteen Form to order by mail!